Having shared her interview with the Info TV television on her profile, member of Seimas Aušra Maldeikienė has fired up social media. When asked to comment on the new government programme, the politician did not spare it of criticism. During the show, the economist noted that the new programme is similar to prior ones, stating that “It is clearly written based on the same principles: ministries are given tasks, they write up some sort of little thoughts and then someone enters code words, very amusing ones in this case”. According to the politician, the programme attempts to combine two opposing ideas that are separated by 50 years – the social market model and a harmonious society. She also pointed out that the programme contains 355 goals, while adding in the political goals they exceed 1000. “It is clear that nothing will be done. It is a normal programme of strengthening the bureaucracy. 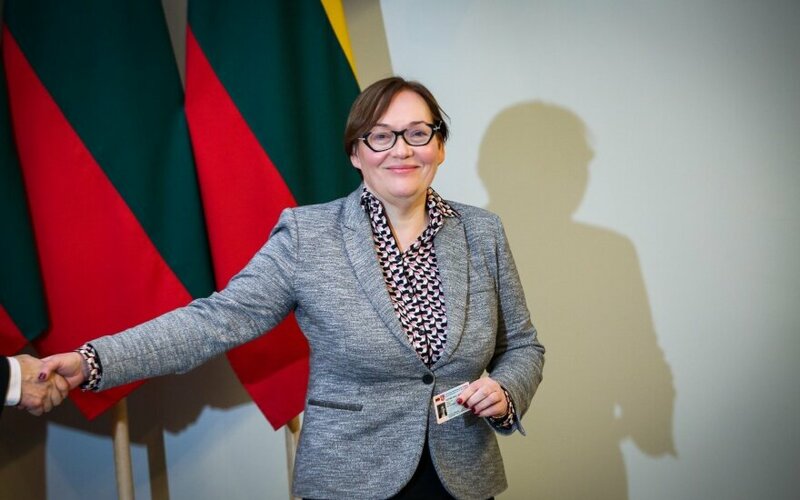 The bureaucracy will decide everything,” spoke A. Maldeikienė. Some of the proposals regarding education reminded her of the soviet man, the programme of the builder of communism. The economist also viewed the proposal that “we will encourage the awareness of employers on the subject of employee welfare, particularly in resolving such common problems as informal urging of ill employees to work” negatively. “What’s this about? Being sick we go to work? We write and write, but don’t think. I sympathise with Saulius Skvernelis, but I cannot vote for such a programme,” admitted the politician. The economist found only 1.5 pages that deal with taxation. The proposals of horizontal justice proposed in them is correct, but not technically detailed, which is why it is hard to understand. “And if you read the entire work, then I can say this – it isn’t a programme. The makers of the programme declare that they will make a social market model. But in essence they are repeating what has been said by all governments. This is intellectual mincemeat. The same thoughts are being repeated, often running counter to one another. This is a manifestation of the intellectual death of Lithuanian social science. I am trying to be very discrete. We no longer have thought, TSPMI [Institute of International Relations and Political Science] and all others have killed everything. Bureaucrats and a few politicians will simply come and they will know how we need to live,” the politician did not hide her disappointment. She pointed out the limitations on ovum transportation as one of the absurd proposals of the programme. “What a “wonderful” thought that in Lithuania it will not be possible to transport ovum by transit. I wonder, will we still be allowed to walk? Every woman in Lithuania, who walks around in the country, is transporting ovum. It’s in the programme. What do they want to say with this? The people writing the programme are simply unable to think,” summarised the politician.